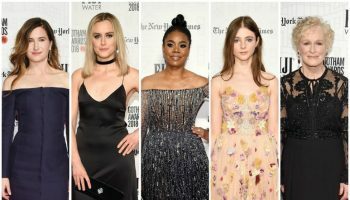 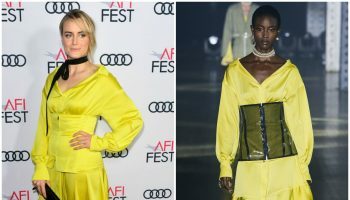 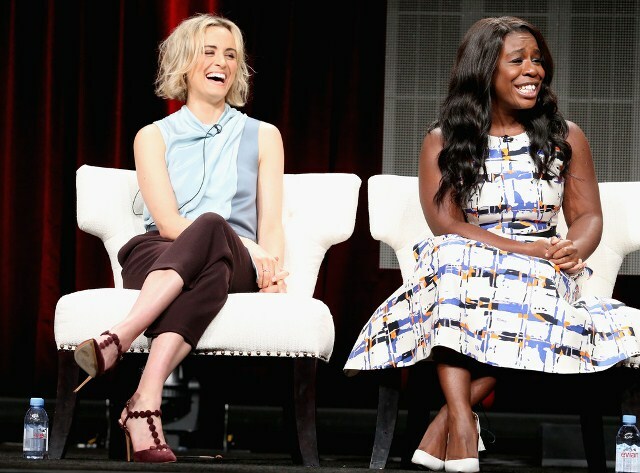 Taylor Schilling was in attendance along with Uzo Aduba at the ‘Orange Is the New Black’ panel discussion during the Netflix portion of the 2015 Summer TCA Tour at The Beverly Hilton Hotel on Tuesday July 28, 2015 in Beverly Hills, California. 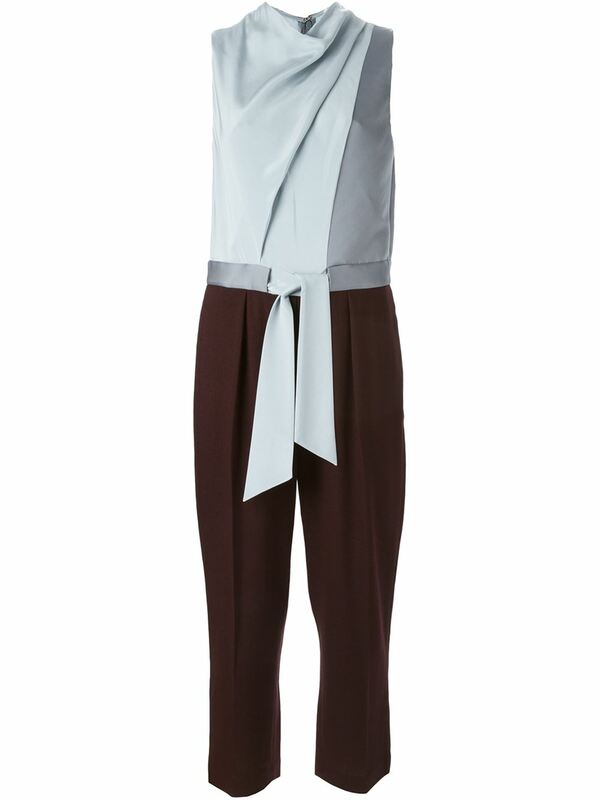 She wore a 3.1 PHILLIP LIM draped tie waist two-tone jumpsuit which she styled with a pair of burgundy suede Nicholas Kirkwood ‘Quantum’ T-strap pumps. 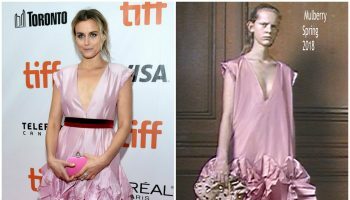 Taylor Schilling in Georgine at "The Tonight Show Starring Jimmy Fallon"